Skydiving helmet sprayed up in flourescent pink base colour and overlayed with magenta hologram metalflake which lights up in a rainbow of colours in sunlight. Ultra bright and maximum sparkle! Microlight flying helmet with a rippled union jack flag design in metallics with a mural on the rear of his machine copied from a photograph. 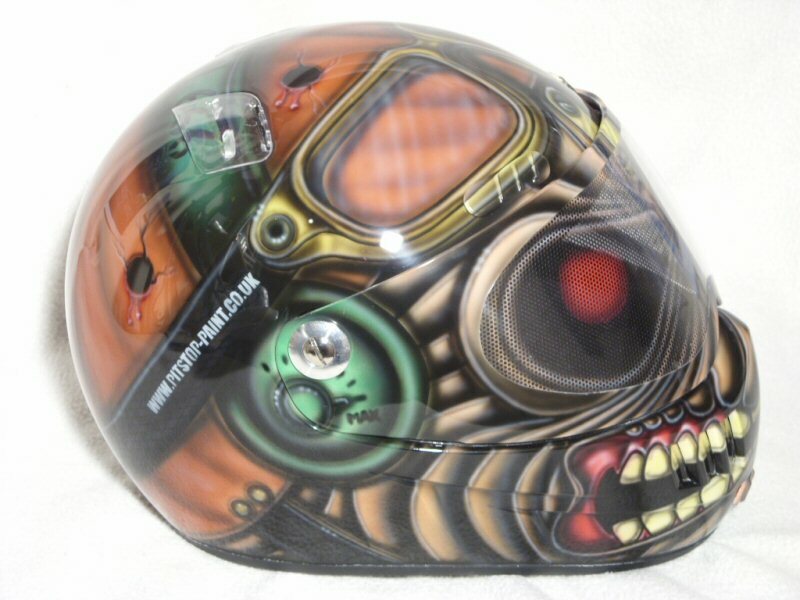 Professional skydiving competition helmet done to customers specs . Multi layered true flame throughout with demon face, and lots of subtle, small scale detail. This whole helmet is less than 2/3 the size of a motorcycle helmet!